SOURCE: MANJUNATH REDDY/ FOR MY TAKE / IDRW.ORG According to Manu Pubby, Defence Journalist with Economic Times, India has received a response from the seventh vendor for Request for Information (RFI) which was issued by the Indian Air Force (IAF) on behalf of Ministry of Defence (MOD) for the procurement of 114 fighter jets under ” Make in India ” initiative after scrapping of the previous MMRCA tender which was keenly fought out by Six vendors. Sukhoi Design Bureau is the seventh vendor whose has been allowed to submit its response to IAF’s RFI issued last year, marking official entry of Sukhoi Su-35 in what apparently is MMRCA reloaded in India. Su-35 which was developed from its Su-30MK family for export market no doubt is a deadly aircraft and has a vast improvement over IAF’s Su-30MKI but with Mid-life modernization and up-gradation of Su-30s already in plans, entry of Su-35 makes little or no sense rather than circus which UPA 1&2 ran for 10 years and NDA 2 continued for 5 more years and now plans to continue it for 5 more years. It’s no secret that Sukhoi Design Bureau was deliberately kept out of previously scrapped MMRCA tender for a reason which IAF had explained at great length. IAF didn’t want to put all its eggs under one hat and also didn’t want to have a top-heavy air force with 272 Su-30s and Plus 126 Su-35 which could have raised operational and maintenance cost of the air force considerably and also eaten into its yearly budget. 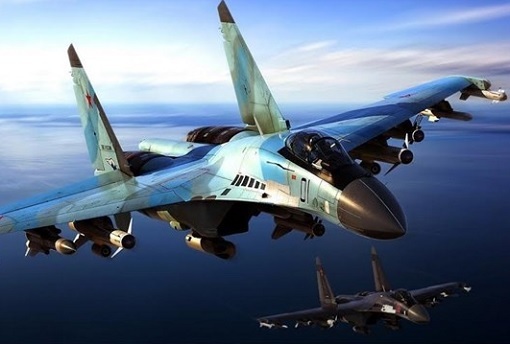 Su-35 was also kept out since under Super-30 Modernization program for Su-30MKI, it was expected that once upgraded, Su-30MKI will be at par or actually exceed the performance of Su-35s in near future. IAF which is still having second thoughts on taking up a offer by HAL for further orders for 40 new Su-30MKI at the old contract price, only suggests that it has no intention to procure more Su-30MKI nor it is interested in procurement of Su-35, so it clearly defies logic why even Sukhoi Design Bureau was even allowed to bid in first place. IAF by its own admission wanted to go for a quick turn around in MMRCA 2.0 since most of the aircraft in the offer has already gone through gruesome and extensive flight trials both in India and in its home conditions and fresh trials were to be limited only if aircrafts on offer came with new equipment or capabilities which were not demonstrated in the earlier trials. Since Su-35s were never subjected to extensive flight trials in Russia or in India, IAF will need to carry out those this time around so that it can offer an equal playing field for all competitors in the tender process, which will mean additional weeks or months taken to carry out trials only for one aircraft. Instead of only allowing only top 3 or 4 vendors of the previous technical trials, India has invited even the vendor who was last in last trials but also added another vendor who was not part of the previous tender which can only aggregate more delays in the procurement of new jets but also leaves room for losing vendors to go to court if due process is not followed in the tendering process which risks starting whole previous MMRCA circus which could have been avoided if MOD had limited the vendors in the first place.